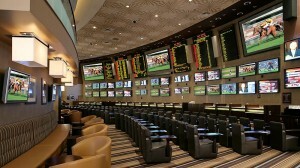 At Sports Insights, we pride ourselves on providing live odds from a wide variety of sportsbooks. Along with live Vegas Odds, members have access to over ten years of valuable sports betting data. This data includes proprietary information unavailable anywhere else. We offer archived line history, public betting percentages from seven contributing sportsbooks, betting system alerts, and more. Read our blog post on this subject: What are the Advantages of Monitoring Offshore Odds vs. Vegas Odds? To view these odds and begin making sharper bets, check out our Sportsbook Insider membership options.